WATCH THE LIVE STREAM HERE! The Rosetta spacecraft is finally ready to do the unthinkable, reach its final goal of landing a probe on a high-speed comet, after a decade-long journey. The spacecraft has been orbiting the comet 67P/Churyumov-Gerasimenko since August, and will attempt to make history today by dropping its lander, Philae, onto the comet at 10:35 a.m. EST (15:35 GMT). 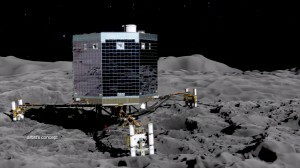 This will be the first time a spacecraft tries to soft-land on a comet and deploy scientific instruments for research. Other spacecraft have made contact with comets, with most of them essentially resulting in crash landings. Mission scientists have chosen a landing site on the head of the comet, called Agilkia, after months of studying and preparation. Agilkia appears to be the least hazardous area, although the lander is sure to have to contend with canyons, cliffs, and boulders on the surface of comet 67P/Churyumov-Gerasimenko before landing. 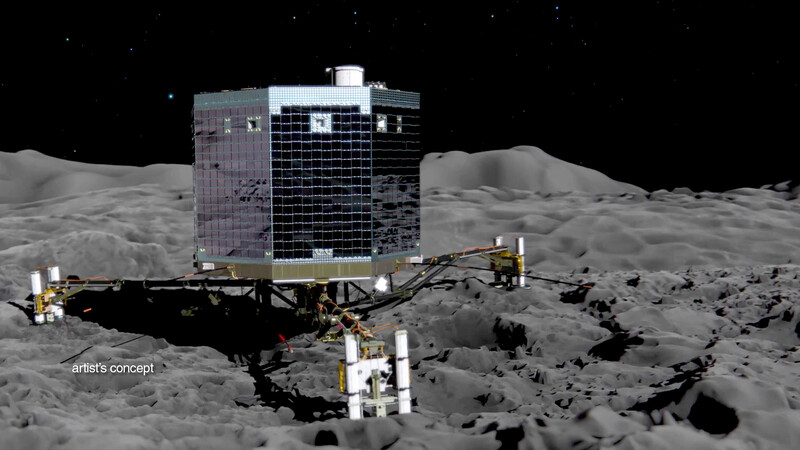 Philae’s descent and landing is being described as “seven hours of terror” by European Space Agency officials. Should everything go as planned, astronomers are looking forward to drilling into the comet and discovering material left over from the origin of the solar system, some 4.5 billion years ago. NASA also has a live feed.